West Exhaust Enterprise is Ballarat’s specialist provider of mufflers, exhausts, suspension parts and exhaust systems. Stocking a wide range of muffler and exhaust products, we are also experts at manufacturing and fitting exhaust systems to meet your specific needs. Standard off-the-shelf, sports, custom-made and stainless steel systems are all part of the products and exhaust and muffler service we provide. We also carry a wide range of filters including Purolater, Wix and Crosland brands. Phone us at West Exhaust to discuss your needs or to get a quote. We are car exhaust specialists. If you are located within Ballarat and district and you are looking for shock absorbers , springs or suspension call us now on 03 5339 3030. West Exhaust Enterprise fits shockers and can fix your shocker issues. We can work with cars, vans, and caravans. Whatever your requirements or problem, we’ll have the solution for you. Call us now for a quote. West Exhaust Enterprise has a surprising range of rare and hard-to-find automotive parts and accessories, particularly when it comes to mufflers, exhausts, shock absorbers suspension and springs. If you are looking for that hard-to-find rare spare part, call us now to find out if we have this in stock or if we can get this for you. You can also view our rare spare parts page. Check out our specials page for a great deal. It may just be the one for you. Having an enormous range of stock on hand we service not only Ballarat but have many customers from Maryborough, Clunes, Creswick, Ararat, Bacchus Marsh, Stawell, Castelmaine, Colac, Geelong, Melton and beyond. Also call us if you are looking for that rare or hard-to-find muffler or exhaust and we can arrange to have it shipped to you anywhere in Victoria or Australia. At West Exhaust we have one of Australia’s largest ranges of exhausts and mufflers on hand. 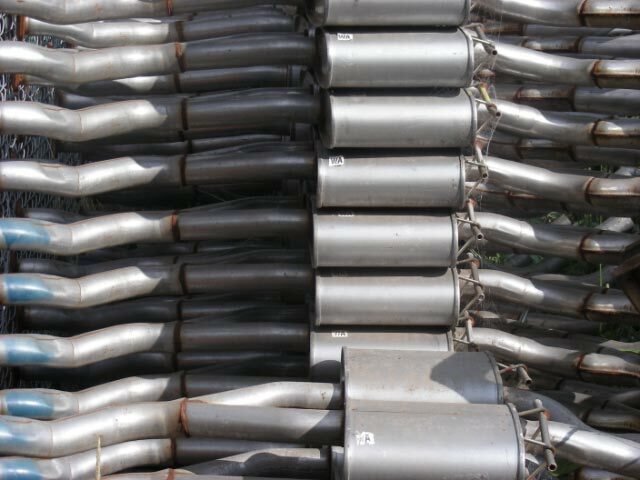 For mufflers, exhaust, suspension or shocker needs phone us for a quote on 03 5339 3030.